There are certain sections of songs that leave you feeling as you are drifting into the great beyond and infinite darkness. With so many great albums that precede it, just how good is Bloodshed? 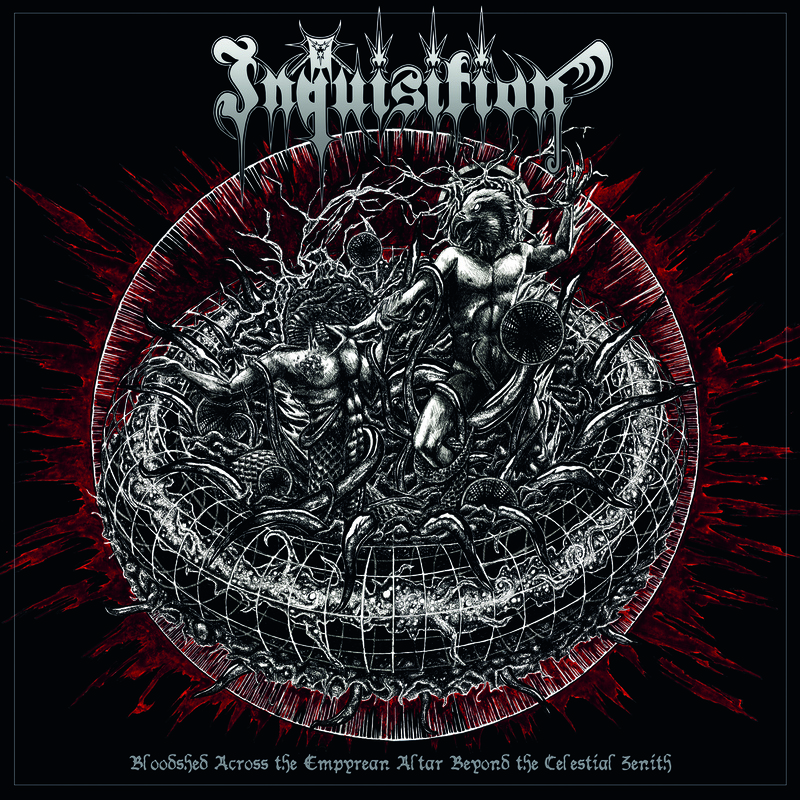 Pulling no punches from the outset, Inquisition lay down their trademark black metal with varying sections with breakneck speed on “Wings of Anu” and some slowed down to hear Dagon’s frog-like vocal delivery. Fans of vintage of Immortal should take notice. However, this is a Colombian/American endeavor and not a Norwegian one. A place where his voice takes central focus is during the middle of “A Black Aeon Shall Cleanse.” for example. It isn’t the only time that it happens, but you take notice when his throat is shredding upon delivery. “The Flames of Infinite Blackness Before Creation” is steeped in atmosphere as it barely gets beyond a slow plod. Great black metal often leaves you on edge after listening, but a track like this is what makes this band so special. Instead of feeling uneasy or on edge, you merely feel lost and insignificant, much like our own individual place in the universe. Incubus knows his place in the band as well. The drums never take over the songs, but they pace the album in an expert fashion.